Many of you may have heard of the delightfully humble style icon (and one of my personal heroes) Bill Cunningham. He’s not an icon because of his own style, but because of his uniquely talented eye. Mr Cunningham has been honing that skilled eye since 1978 as a now legendary NY Times fashion photographer. Bill is unique in that he takes photographs of ordinary people, socialites and fashion personalities every day on the streets of Manhattan (no pictures of celebrities here! ), capturing the ever-changing trends and personal styles of the people of New York. This is the heart of style, showing what real people, not celebrities or paid stylists, are actually wearing on the streets. He has a way of uncovering and distilling the best of this street-style into a few well-curated images that capture perfectly the feeling and mood of the season and the people week by week. These stylish photos are printed up in the New York Times every Sunday, and much to my delight, they are also collected in a short and charming (and FREE) video, which is narrated by Bill himself, available to everyone online. See it HERE. I look forward to these charming slices of New York style every week, and they make for great inspiration! I’ve gotten some great ideas here and they always put a smile on my face. Do yourself a favor and watch a couple videos today. Remember, you don’t have to have a lot of money to have great personal style! It’s all about finding what you love, what looks great on you, and having fun. 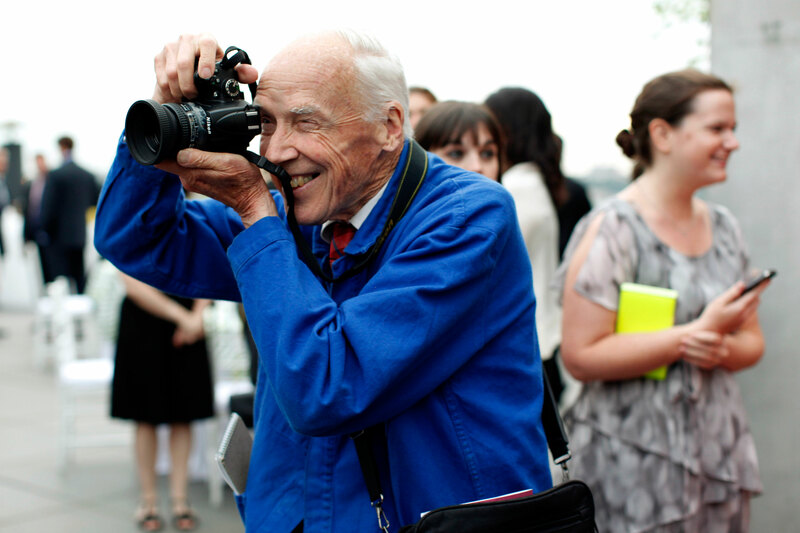 At 86, Bill Cunningham is still going strong, and I hope he will continue capturing style for many years to come. There is also a documentary on Mr. Cunningham called “Bill Cunningham New York”, available to watch on Netflix, Hulu, and Amazon. This entry was posted in fashion, style and tagged Bill Cunningham, fashion, fashion inspration, fashion photographer, New York Times, personal style, street style photographer, street-style, style, style inspiration. Bookmark the permalink. ← It’s time for FABULOUS FINDS! Featuring Dolce & Gabbana, Vivienne Westwood and Nanette Lepore!